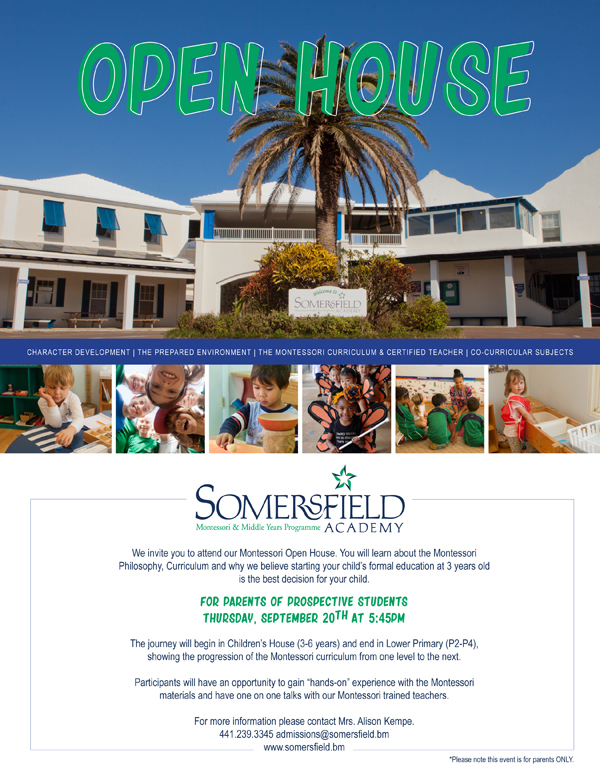 Somersfield Academy will be holding an open house event on Thursday, September 20 at 5.45pm. A spokesperson said, “Participants will have the opportunity to learn about the Montessori Philosophy, curriculum and why starting your child’s formal education at three years old is the best decision. “The journey of discovery will begin in Children’s House [3-6 years] and end in Lower Primary [P2-P4], showing the progression of the Montessori curriculum from one level to the next. Participants will have an opportunity to gain “hands-on” experience with the Montessori materials and have one on one talks with our Montessori trained teachers. “Creative teaching strategies help students go beyond simply memorizing and recalling facts, to generate their own understanding and application of information. Somersfield Academy offers an education that makes a difference. “Our Mission at Somersfield Academy is to provide a unique educational experience for all its students based firmly on the ideals of ‘The Somersfield Promise, the explicit beliefs of the ‘Core Values Statement’ and our ‘Commitment to Diversity.